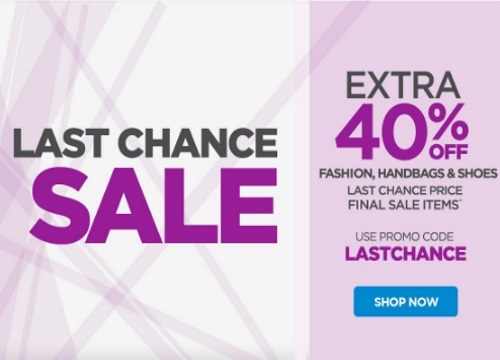 The Shopping Channel is offering an extra 40% off Last Chance Clearance Fashion, Handbags & Shoes with the promo code below! Enter the promo code LASTCHANCE at checkout. Offer is valid until August 7 at 9:59pm ET.